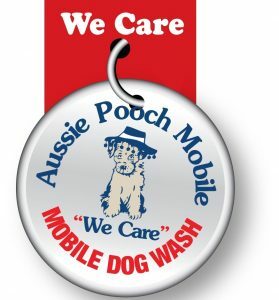 Aussie Pooch Mobile are Australia's most trusted dog washing experts. 1000's of dogs every week are enjoying loving dog wash & grooming services performed by passionate, dedicated and experienced operators. Our mission is to provide our passionate, dog loving franchisee's with the skills, education, training and support to enable them to delight their customers and pooches with a professional and caring dog wash & grooming service. At Aussie Pooch Mobile, we love dogs and we love helping to grow & support small business owners so they can achieve a flexible lifestyle and rewarding career doing the one thing they love most - Caring for pooches! 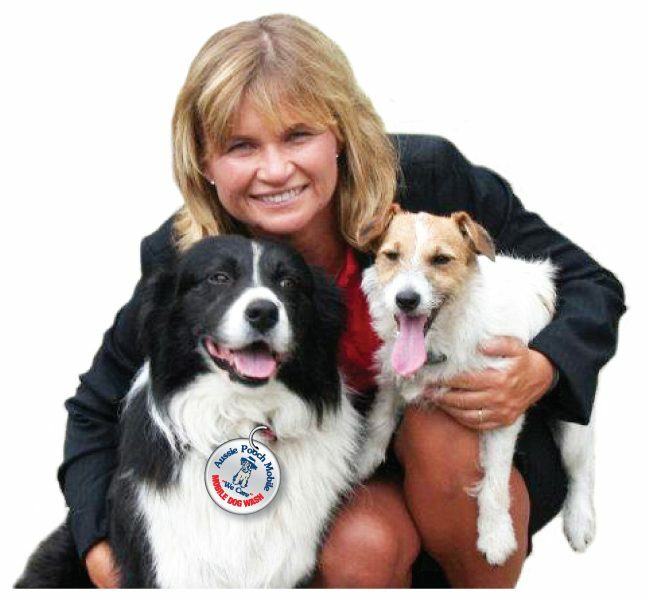 Owner and Managing Director of Aussie Pooch Mobile, Christine Taylor owns one of Australia’s most successful franchising businesses and has helped thousands of people build their own franchises to incredible heights and completely turn their lives around. Her story began in 1985 when she was just 16-years-old and started a part time dog washing business in her parent’s back yard. She was mad about dogs, loved them with a passion, so it was an easy and fun way to make some money. Through word of mouth her business grew rapidly and she recognised a demand to take the service mobile. It was the start of something big. This passion, paired with her entrepreneurial spirit led Christine to franchising where her success has been recognised by her many accolades such as Queensland Young Achiever of the Year, Telstra Business Woman of the Year, Franchising Hall of Fame Inductee and most recently Australian Business Womens Hall of Fame Inductee. Together Joanne & Mark help support a team of 15 operators which include their three children, all of whom work their own dog wash & grooming trailers. "Its a family affair for us and we really love what we do"
Coming from previous careers in sales and service Mark commenced his career with Aussie Pooch Mobile as a franchisee in 1993, later selling his franchise in 1995 to joining the management team to help grow the Aussie Pooch Mobile Brand interstate and internationally. "I take pride in making sure all our Franchisees receive the support they deserve". Marks role within the business is to drive recruitment and support our Regional Managers and Master Franchisees. Joining the team in 2009, Kate & Bryan currently have 4 mobile units washing dogs in the Illawarra region. Recognised many times for their successes both in Business and supporting their community. Awarded Highly Commended Regional Franchisee of the Year award in 2009, Muli-Unit Franchise of the Year 2013, and the Community Award in 2015. Both Bryan & Kate had previously worked with dogs and business management roles; so their experience helps build their our own business as well as support others who join their awesome team. At Aussie Pooch Mobile we aim to make a positive contribution to our local communities by building meaningful partnerships with organisations who share our values. Aussie Pooch Mobile Dog Wash has supported the RSPCA Million Paws Walk for 20+ years and participate in the Million Paws Walk annually. With the dedication of our team and the support of the public we have raised over $200,000 to date to a very worthwhile cause. The RSPCA Million Paws Walk continues to be a major highlight in the Aussie Pooch Mobile calendar and we couldn't do it without your help. Thank you! Empower Assistance Dogs enhance quality of life and independence for people with disabilities by providing professionally trained and government certified guide, hearing and assistance dogs. "Giving to Empower Assistance Dogs means those in need are empowered to lead a more independent life." For many years Aussie Pooch Mobile operators, their friends and families have been donating their time to help raise funds and awareness in their local community, about the wonderful service provided by Empowered Assistance Dogs.